How can these Scriptures be reconciled? Re: Who raised Jesus from the dead? What are you having an issue with, that you feel needs to be reconciled? Jesus said He would raise himself. Other texts say that God raised Him, or the Holy Spirit raised Him. Did Jesus raise Himself from the grave or did God do it? Before this question can be addressed directly, we must first agree upon what we mean when we say “God,” and we must agree upon the nature of Jesus. Jesus is, by His very nature, God (Phil. 2:6). “God” is not a person but a title given to the divine nature. There is only one God (Deut. 6:4, Is. 44:6)--one divine nature. However, God exists in three persons, the Trinity. The first person of the Trinity, whom Jesus called the Father, is often referred to as “God,” and rightly so--the Father is God (1 Pet. 1:2-3). However, people often confuse the title “God” as referring only to the Father. 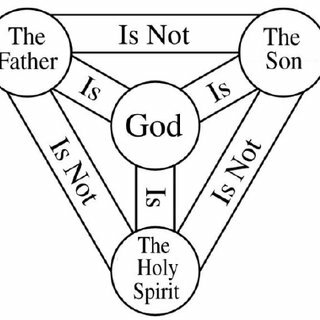 The second and third persons of the Trinity, Jesus the Son and the Holy Spirit are also God (Heb. 1:8, Acts 5:3-4). So, there is one God existing in three persons. These persons are all distinct (Matt. 3:16-17). They are all equally God. The divine nature cannot be subdivided; God’s nature is infinite--infinity cannot be subtracted from or added to. Though there is one God in three persons, the person of Jesus Christ has two natures. He has the divine nature (as previously demonstrated), but He also has a human nature and is fully human. He was born (Matt. 2:1) and took on human flesh (John 1:14). He suffered physically and emotionally (Heb. 5:7-8). Even after His ascension, He is called “man” (1 Tim. 2:5-6). So, Jesus could operate out of His human nature or His divine nature. As a man, He ate (Luke 24:42-43). As God, He calmed the storm (Matt. 8:26). So, while Christ’s body was dead, He remained alive (since God cannot die). This should not be a great surprise since human souls remain while the body decays (2 Cor. 5:8). Jesus’ human soul remained in the way that all human souls do, while His divine substance remained unchanged (Mal. 3:6, Heb. 13:8). So, would it have been possible that Jesus through His divine nature even while His human body lay dead could have displayed His power through resurrection? Absolutely. Jesus, speaking of His body said, “Destroy this temple, and in three days I will raise it up.” (John 2:19) Certainly, it was “God” who raised His body (Rom. 10:9, 1 Pet. 1:21), and Jesus is God. But Scripture also teaches that the Father raised Him (Gal. 1:1; Eph. 1:17, 20). Even the Holy Spirit is said to have raised Him (Romans 8:11). So, the act of raising Jesus from the dead was not the operation merely of one person within the Trinity but was a cooperative act done by the power of the divine substance. The fact that the Bible teaches that God raised Jesus from the dead and that Jesus raised Himself is yet another testament to Christ’s divinity. I would say that's a pretty darn good explanation!